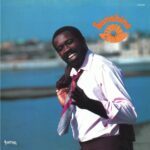 Favorite Recordings presents this new official album reissue of Sunshine by Junior Byron: A real Modern-Soul/Disco masterpiece, originally released in 1981 by Canadian label Formula Records, and very hard to find today. Based in Canada, Junior Byron had quite a short career as a singer and recorded only a few singles and this stunning album between 1981 and 1985. Produced by André Perry and Joe La Greca, two famous names in the Canadian music scene, Sunshine is not just a one track album, but a complete whole piece of music, including some brilliants highlights such as “Inch by Inch”, “Galaxy” or “Sunshine”, which are today must-haves in many DJ’s lists. As another longtime favorite collectable piece for Charles Maurice, it’s a real honor and proud for Favorite Recordings, to finally officially reissue it for the first time on vinyl. 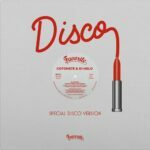 In order to insure the best sound quality, the original tracklist has been dispatched on a double vinyl version, which should please all DJs and music collectors. 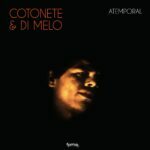 More than 40 years after his classic eponymous LP, legendary Brazilian-Soul singer Di Melo is back with a brilliant album produced and performed by Cotonote !! DIMITRI FROM PARIS honored us with a banging remix of "A.E.I.O.U." by Cotonete & Di Melo!! 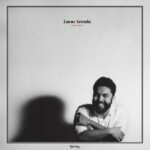 Favorite Recordings proudly present Onda Nova, new and third album by Lucas Arruda. Copyright © 2019 Favorite Recordings - the best is yet to come. Designed by JEUDIMIDI & woot woot !